Want to sail the Vago Single Handed? 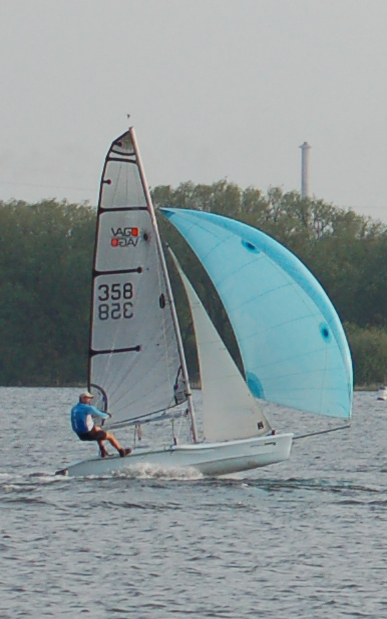 There aren't many single handed dinghies with a trapeze and asymmetric spinnaker (gennaker), so it's great to find the Vago fills a niche for a cheaper alternative to the other high speed skiffs. Sure, it's not as fast or expensive as a Musto Skiff or an RS 700, but you can dry capsize it, race it, sail slowly if you want, take passengers for joy rides and sail on smaller stretches of water. You want to coach or train? The Vago allows you complete control of the boat from the helms position while a passenger can sit and watch, hike or practice manoeuvres. A small change to the jib sheet can create a self tacking jib which makes handling the boat a lot easier when you're single handing in a blow. It also makes it easier to take younger family members out for cruise! A few rope and pulley changes switches the gennaker to a rear hoist and drop system, again ensuring safe kite handling in a blow and safe recovery if you turtle!